Home > From Root to Crown > Trunk and branches > What is it? 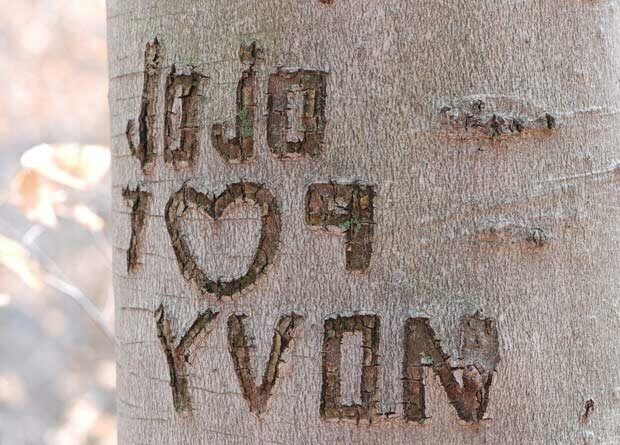 Humans do all sorts of serious damage to trees by cutting into their bark – from carving graffiti in them to running into them with snowblowers or chaining bicycles to them. After all, it's in the outer layers of the trunk that the tree adds girth and transports the sap it needs to survive. Surprisingly enough, a wound that goes all the way to a tree's centre may be less damaging than a seemingly superficial knife wound that rings the trunk. A wound in the tree's bark is also a potential gateway for various parasites, both insects and fungi. And when you think that an urban tree costs taxpayers over $1,000 in its first four years of life alone, we all need to be careful.